There is currently an event going on in Japan that Aonuma is attending and people at the event are talking about a Skyward Sword HD. Take note that this is a rumor because it hasn't been officially confirmed yet. What do you want to see in the upcoming Nintendo Direct? And so the journey begins! It may be somewhat short because it is coming out this year apparently. The reason this is gonna be a separate topic is because I am one of the many who do believe it's an entirely new Smash. Too many things line up and a lot of things just don't add up to this being a port. For starters, Link is now his Breath of the Wild variation and that could change the entire character as a whole in Smash. The new logo is clean and definitely isn't final. We don't have a huge clue on what the roster could definitely be, but we do have a few ideas from the silhouettes. The full title for it is a working title, so it probably won't even be called Super Smash Bros. for the Nintendo Switch. This trailer was too secretive to be a port. Anyway, the topic is a general means of discussion for all things Super Smash Bros. on the Switch. I will be updating it with new details as they come about. Ideas for Nintendo Switch Games 1: KINGDOM HEARTS: SWITCH. 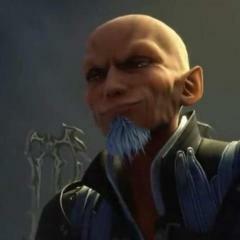 "KINGDOM HEARTS: SWITCH" is meant to be the first chapter in the new Saga that will take place after the events of the Xehanort/Dark Seeker Saga, the idea is that Master Xehanort has finally been defeated but that Sora has now disappeared, alongside both the one true X-Blade and the one true Kingdom Hearts, the title of "Switch" which is referred in the new game's name is meant to refer to the fact that the series now has a temporary new main, primary protagonist in the form of Riku, just like Sora before, Riku now goes on a quest to find Sora in a very ironic turn of events of vice versa and now adopts Sora's Kingdom Key, which is the only thing left behind by him, alongside our beloved hero's signature necklace, the Kingdom Crown, having now gained Sora's Keyblade alongside his own, Riku can now use Synch Blade and uses both the powers of Light and Darkness themselves in the forms of Sora's Kingdom Key and King Mickey's Kingdom Key D and because of Riku's ability to manipulate Darkness freely, he can also "switch" between these two powers whenever and wherever he wants to or even use both of them at the very same time, another meaning that refers to "KINGDOM HEARTS: SWITCH", Mickey hands his Keyblade over to Riku, as a means of being able to possibly travel between both the Realm of Light and the Realm of Darkness since the Kingdom Key D originated from the latter, another "switch" meaning, Riku is the sole protagonist of the game and has a unique game-play style, he can either use the powers of Light during battle or the powers of Darkness depending on which Kingdom Key Keyblade that he uses, if he uses the ordinary Kingdom Key he can fight with the powers of Light and if he fights with the Kingdom Key D he can fight with the powers of Darkness but during certain parts of the game, he will be required to use Synch Blade and use the powers of both Light and Darkness both at once, the Nintendo Switch remotes will react to the moves of both Keyblades that he is using, the red Joy-Con represents the movements of Keyblades of Light and the blue Joy-Con represents the movements of Keyblades of Darkness, Riku will eventually be able to wield both the Oathkeeper and Oblivion latter on within the game, as Ultima Weapon like based Keyblades, he will be able to use them in a similar fashion to both Roxas' fighting style and Sora's Valor Form's fighting style but Riku's style itself with two Keyblades will be displayed differently, know what i mean? King Mickey will appear in the game, as a major character and will wield the Star Seeker Keyblade, if Riku explores the Realm of Light, Mickey will explore the Realm of Darkness and if Riku explores the Realm of Darkness then Mickey will explore the Realm of Light, because of Mickey's previous exposure of being in the Realm of Darkness, he can travel there whilst Riku investigates Sora's disappearance and current location within the Realm of Light and if Riku ends up within the Realm of Darkness then he will take Mickey's place, forcing him to continue his own investigation within the Realm of Light, hence another meaning pertaining to "switch", in the Realm of Light, Riku will be able to explore normal animated Disney based Worlds whilst in the Realm of Darkness, he will be able to explore live action based Disney Worlds, he will be able to see the contrasts between the Worlds of both Light and Darkness and see how they play out so differently to one another, party members will be included in the game and for example, we will get to see the good Maleficent from the live action film of her same name fight alongside Riku, as they together battle against the corrupt King Stefan, the main themes of KINGDOM HEARTS: SWITCH are the themes of "switches" themselves and Riku's redemption both to and by those that he hurt during the events of KINGDOM HEARTS when he was being manipulated by Darkness and "Ansem", the Seeker of Darkness, although he has come to terms with himself and Darkness in both Reverse/Rebirth and mainly Dream Drop Distance, this story is more about others forgiving him rather then himself forgiving his own actions in the past and that will play a unique emphasis on the game's turns of events, for other characters appearing in the story-line, Aqua will appear in the prologue of the game and will open up a pathway for Riku using the Master's Defender to the Realm of Darkness whilst Terra will also appear in the game and will have a symbolic presence within KINGDOM HEARTS: SWITCH, his role will start off teaching Riku the basics he has forgotten in wielding a single Keyblade during the time after the events of KINGDOM HEARTS III when Master Xehanort was finally defeated by Sora and Terra will mentor Riku throughout his journey by sending a spiritual version of himself to guide Riku, similar to how Mickey did in Reverse/Rebirth, the story of KINGDOM HEARTS: SWITCH takes place one year exactly after the events of KINGDOM HEARTS III and during all that time, Riku has been searching for Sora, intending to bring him back home to the Destiny Islands, due to their previous interactions and connections with Sora, Riku will seek guidance from Roxas, Ventus, Xion, Namine, Donald, Goofy and especially Kairi on where Riku must go to find Sora, Kairi lends Riku Sora's Kingdom Crown necklace in place of her Wayfinder, as Sora still has that on his possession, during Riku's journey, he meets familiar faces such, as both Aeleus and Ienzo, the somebodies of both Lexaeus and Zexion respectively, also, during a fight at Radiant Garden, Riku will fight alongside Lea, who will appear, as Radiant Garden's party member aiding Riku in battle, Lea's fighting style will consist of changing between both his Keyblade and his Eternal Flames Chakrams, finally, other familiar faces that he will encounter are those of Maleficent, Pete, some of the Disney villains from KINGDOM HEARTS, Hades for example and lastly both "Ansem", Seeker of Darkness and Young Xehanort, the two Xehanort incarnations that had an impact the most on Riku's life during the events of the previous saga, however, they will not serve, as the main, primary villains of the game, instead, new enemies will appear and will try to stand in Riku's way of his journey, these enemies are called "The Faceless" and the Faceless are beings whose Hearts have been forgotten by those that live in both the Realms of Light and Darkness, when a person's Heart is forgotten by other peoples' Hearts, the Heart in question that was forgotten will take on a Faceless shape and will try to attack those with Hearts that do have faces, in their natural instincts to be remembered, the Faceless believe that by attacking those with Hearts that have faces and especially Memories of themselves to be remembered by others will the Faceless take those Memories for themselves and "become" the Hearts and Memories of the person in question that they stole a face from, know what i mean? leading these Faceless beings is a both strange and mysterious young man who very surprisingly resembles Sora named "Aros", however, Aros claims that people still remember Sora and that Aros himself is a "incomplete Human like shaped and formed Faceless", Aros' current goal is unknown, however, he opposes both Riku and Mickey on their respective adventures to find Sora and thus he sends his lesser, monster in appearances Faceless peers and servants to attack the two in order to stop them from finding Sora before Aros himself does, Aros is meant to be malevolent like Vanitas but at the same time sympathetic like Sora is, he is basically built up to be more or less like Caius Ballad from Final Fantasy XIII-2 was, a leading villain but not with a goal of destruction in mind at the very end, more like a goal of salvation, the logo of the Faceless is meant to be a Heart but with a voodoo doll's face inside the middle of the Heart, also, the logo of KINGDOM HEARTS: SWITCH is meant to be a Heart but with a giant S behind in the background behind the Heart symbol and is meant to refer to both "switch" and mainly "Sora", who is the key plot character of the game, the entire game being meant to build around the fact that he has gone missing and now it is up to Riku to find his missing very best good friend since childhood, in this game we will see a much more older and far more mature version of Riku who has now officially become an adult and from an adult's point of view, he sees things more differently then he did before, especially including his handling on both Light and Darkness and of how they balance one another, as Terra guides Riku throughout his journey and battles the Faceless, Riku will make astonishing discoveries about the Faceless of how they have come to exist just now after the events of KINGDOM HEARTS III and especially why Sora had disappeared all of a sudden upon defeating Master Xehanort, Aros is meant to serve, as Riku's equal during the game, as well, as his antithesis, denying all that Riku and especially Sora stand for and that Aros is willing to use both the Faceless and the powers of Darkness to achieve whatever means necessary he is after, to finish things off, the tagline for KINGDOM HEARTS: SWITCH is "Its the Road to Dawn.". So then, what does everyone think :]? As Nomura stated, the team is dedicated on these two versions right now. Still, once the game has been released on these two consoles, Square Enix will consider bringing it to other platforms. What other platforms? Nomura did not clarify but we can safely assume that he’s referring to two: Nintendo Switch and PC. Here is what Nomura had to say about bringing Kingdom Hearts 3 to other platforms (and a misunderstanding that occurred during an interview with IGN who claimed that Kingdom Hearts 3 is coming to Nintendo Switch). “They misinterpreted the word ‘considering’ as to “it is possible to release” and it spread out. 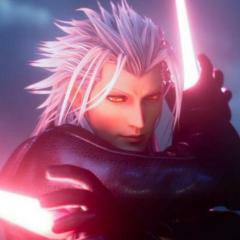 “Other hardware” is not limited to the Nintendo switch, and we will consider all of them after the release of the PS4 and Xbox one versions.” http://www.dsogaming.com/news/kingdom-hearts-3-pc-square-enix-other-platforms-after-ps4-xbox-one-release/ Welp this makes me happy hopefully the HD Collections appear on Steam and the Switch as well. Could Kingdom Hearts 3 work on the Nintendo Switch?! Do you think Kingdom Hearts 3 could work on the Nintendo Switch? In this video I talk about my thoughts towards Kingdom Hearts 3 being on the switch. Well I'll try my best to let the video do the talking so Hope you guys enjoy! Which Nintendo Console(s) have you owned? Hello, here it is, some fanmade covers from the Kingdom Hearts Series I've made. Edit : New background image of the 3 NS covers my nickname is PrinceSnake on reddit in reference of the Zero Escape Series. After much thoughtful deliberation as to whether I should buy the Nintendo Switch, I've decided that I will... but with a twist. I'm going to buy it as a handheld console as oppose to a home console. Why? well for two primary reasons... 1) I already have a PlayStation 4 Slim as my dedicated home console system. And with all the wonderful PS4 exclusives and third party support the system receives, that console is not going to go away any time soon... 2) It's going to be the most powerful handheld gaming system in the market. Nintendo want to unify their handheld and console portfolio into one division, this means that franchises like Pokemon, Ace Attorney and Fire Emblem are going to be in HD quality. There will be an event held on the 12th of January U.S. Time. The event will include the launch date, pricing, and a look at the lineup of games currently in development for Nintendo's newest home gaming console. The exact time will be announced in the coming weeks. So are you all excited to watch this livestream and learn more about the Switch?